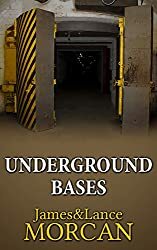 In our book UNDERGROUND BASES: Subterranean Military Facilities and the Cities Beneath Our Feet, we remind readers it has been widely reported by mainstream media that there’s a vast tunnel system below Washington D.C. It’s our understanding that at any given time there are hundreds of security personnel patrolling the tunnels, on foot or with the aid of motorized vehicles – and it’s considered very likely many of the capital’s tunnels lead to and from the White House. The White House…connected by tunnels? The often-told stories of Marilyn Monroe being sneaked in and out of the White House via underground tunnels to meet with JFK would seem to confirm this. Such tales reveal the capital’s extensive tunnel system enabled Marilyn to be the President’s mistress without much scandal – for a period, at least.